PatternMaker is a CAD-program programmed for pattern drafting in the USA. It is an independent CAD software package. Using plug-ins, macros, with the PatternMaker package allows one to draw patterns with one's own measurements. PatternMaker software allows drawing patterns for all kinds of figure shapes. Computerized patterns solve problems especially if you often need to adjust standard patterns to fit your body shape. The Free PatternMaker Basic contains macro patterns for ladies trousers and collars in fully functional form. The Trouser Macro allows you to print trouser patterns with your measurements. The Collar Macro can be used to print collars for existing jacket patterns. Patterns can be printed out with any printer. If the printer uses A4 or Letter paper, the program divides patterns onto several sheets and prints guides for matching into the corner of each sheet. Adjusting computerized patterns for your own measurements is easy: all you need to do is enter your measurements and the computer will print out patterns with a precise fit for you! Macro pattern collections are available for all basic ladies garments, as well as for menswear, teenwear, childrenswear, babywear, maternitywear and lingerie. PatternMaker Macros have been designed and programmed in Finland using the Scandinavian pattern drafting method. PetternMaker Macro Quick User Guide is now available on this site. Measuring is the most important thing that is different in PatternMaker compared to other pattern drafting programs sold in USA. Only unambiguous and easy to take measurements are needed. This is because the pattern drafting system used for programming the macros is different, the Scandinavian one. Scandinavian pattern drafting system is very near to the Mueller & Sohn pattern drafting system widely used in Europe (e.g in Burda patterns). Read about the measuring for the PatternMaker macros. Use the measuring instructions also for the pattern drafting lessons on this site. 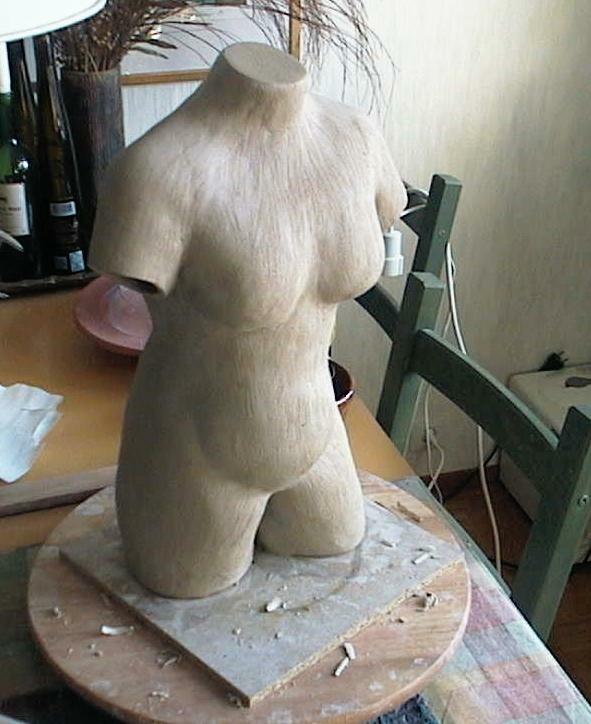 I have used PatternMaker to produce patterns for a women's clay torso. I do not know whether "real artists" approve my technique but for me it was a lot of fun! 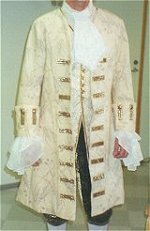 Pattern drafting instructions for women's basic bodice have been published on this site. Please click here. If you want to see how PatternMaker macros draft patterns according to the Scandinavian pattern drafting system, please refer to these instructions. It is exactly the way PatternMaker macros draft basic bodice. Each macro starts with basic bodice according to given measurements on top of which design alterations are programmed. If you want to try drafting your basic bodice manually, just follow the instructions. PatternMaker Hats Collections contains patterns for hats, hoods and caps. PatternMaker Women's Coats is a single macro (not a collection) that drafts a custom-fit pattern for an overcoat or robe. Shakespeare's "Twelfth Night" using PatternMaker Software. http://www.leenas.com is a subsidiary of PatternMaker Software USA. Copyright © 1998, 2006 Leena Lähteenmäki, PatternMaker Software.